sō’lar sāil, n. - A gossamer material that, when unfurled in the vacuum of space, feels the pressure of sunlight and propelled by said pressure may carry a ship among the stars. July 31, 2008: Long ago, someone stood alone on a sandy shore and gazed longingly out at the seemingly endless expanse of ocean, over a horizon suffused softly with ocean mist, musing "I wonder, what's out there?" Then, they fashioned a boat, rigged it with a large cloth to catch the wind, and set sail. Not quite so long ago, someone stood alone on a sandy shore and gazed longingly up at the seemingly endless expanse of space, suffused softly with sparkling stars, musing "I wonder, what's out there?" Then, they fashioned a spacecraft, rigged it with a large cloth to catch the sun, and set sail. The first paragraph: Already happened. The second: Any day now…. Above:The Milky Way beckons to a sky watcher in the south of France. Photo credit: Laurent Laveder, July 28, 2008. Almost 400 years ago, German astronomer Johannes Kepler observed comet tails being blown by what he thought to be a solar "breeze. "2 This observation inspired him to suggest that "ships and sails proper for heavenly air should be fashioned" to glide through space. Little did Kepler know, the best way to propel a solar sail is not by means of solar wind, but rather by the force of sunlight itself. In 1873, James Clerk Maxwell first demonstrated that sunlight exerts a small amount of pressure as photons bounce off a reflective surface. This kind of pressure is the basis of all modern solar sail designs. NASA had a more positive experience with solar sailing in 1974 when the Mariner 10 spacecraft ran low on attitude control gas. Because Mariner 10 was on a mission to Mercury, there was plenty of sunlight around and this gave mission controllers an idea: They angled Mariner's solar arrays into the sun and used solar radiation pressure for attitude control. It worked. 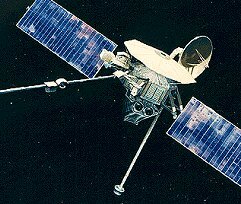 Though Mariner 10 was not a solar sail mission, and though the radiation pressure it used was incredibly small, this ingenious use of Mariner's solar arrays did demonstrate the principle of solar sailing. Right: Mariner 10, circa 1974, was not designed for solar sailing, but the spacecraft's solar arrays worked surprisingly well as impromptu sails for attitude control. In 1993, the Russian Space Agency launched a 20-meter diameter, spinning mirror called Znamya 2, hoping to beam solar power back to the ground. 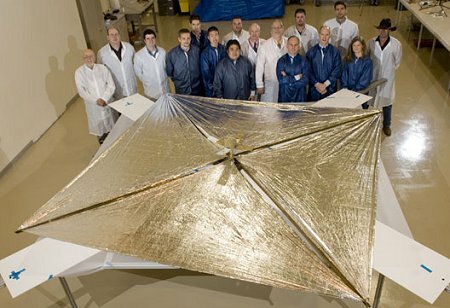 "Some call Znamya 2 a sail because it was made of a large, lightweight reflector and unfurled like a solar sail might be unfurled," says Les Johnson of the NASA Marshall Space Flight Center, co-author of the soon-to-be-published book Solar Sails: A Novel Approach to Interplanetary Travel. "In fact, if I were asked to demonstrate solar sail technology and was constrained to deploy it from a large spacecraft, I might design a 'sail' like Znamya." The foil reflector unfurled and when illuminated produced a spot of light which crossed Europe from France to Russia. Unable to control its own flight, however, the mirror burned up in the atmosphere over Canada. Russia's proto-sail program was abandoned in 1999 after a larger, follow-up mission (Znamya 2.5) failed to deploy properly. Solar sails were an accessory on India's INSAT 2A and 3A communications satellites, circa 1992 and 2003. The satellites were powered by a 4-panel solar array on one side. 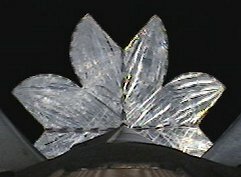 A solar sail was mounted on the north side of each satellite to offset the torque resulting from solar pressure on the array. In 2004, the Japanese deployed solar sail materials sub-orbitally from a sounding rocket. 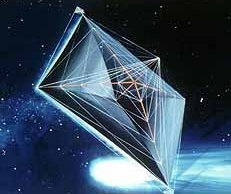 Although it was not a demonstration of a free-flying solar sail that could be used for deep-space exploration, the deployment was nevertheless "a valuable milestone" remarks Friedman, who appreciates the challenges of deploying gossamer sheets from fast-moving spacecraft. To date, no solar sail has been successfully deployed in space as a primary means of propulsion. The Planetary Society hoped to demonstrate the technology with its Cosmos 1 mission in 2005. "Cosmos 1 was a fully developed solar sail spacecraft intended to fly only under the influence of solar pressure for control of the spacecraft's orbit," says Friedman, now the director of the Planetary Society. Cosmos 1, however, was lost when the launch vehicle failed. Meanwhile, NanoSail-D is shooting for this summer, and space. Edward E. Montgomery's team from the Marshall Space Flight Center is working in cooperation with Elwood Agasid's Ames team toward deploying the NanoSail-D solar sail--in fact, "any day now," says Montgomery. It will travel to orbit onboard a SpaceX Falcon 1 rocket, to be launched from Omelek Island in the Pacific Ocean. "Our primary objective is to demonstrate successful deployment of a lightweight solar sail structure in low Earth orbit," says Montgomery. NanoSail-D will feel two kinds of pressure: (1) aerodynamic drag from the wispy top of Earth’s atmosphere and (2) the pressure of sunlight. Montgomery's team hopes to measure both types of pressure as the sail circles Earth. Johnson cautions, "If--and it's a big if—they can measure the solar pressure, they will have demonstrated solar pressure as a primary means of orbital maneuvering. They'll have to show conclusively the effects of solar pressure, with a convincingly high signal-to-noise ratio (above the forces resulting from the residual atmospheric pressure)." Montgomery acknowledges the challenge: "The orbit available to us in this launch opportunity is so low, it may not allow us to stay in orbit long enough for solar pressure effects to accumulate to a measurable degree. We are going to have to look closely at the flight data to see if we can make that determination." If successful, NanoSail-D and Cosmos 2 could profoundly affect the future of science and exploration missions. "Success would be huge for the future of space exploration," says Montgomery. "Solar sailing is the only means known to achieve practical interstellar flight," says Friedman. "It is our hope that the first solar sail flight will spur the development of solar sail technology so that this dream can be made real." Each effort is a stepping stone, in the great visionary Carl Sagan's words, along "the shore of the cosmic ocean,"8 leading us closer to sailing among the stars. Future attempts will surely take us the rest of the way. 5,6From Solar Sails: A Novel Approach to Interplanetary Travel, by Giovanni Vulpetti, Les Johnson (Author), Gregory L. Matloff, to be published in 2008. 8From Cosmos, by Carl Sagan, page 5. 9Excerpt from Winken, Blinken, and Nod, by Eugene Field, 19th century poet.